Jose Dalisay is director of the Institute of Creative Writing at the University of the Philippines and the author of more than 20 books: short story collections, plays, and essays. A recipient of the National Book Award from the Manila Critics Circle, Dalisay was named by the Cultural Center of the Philippines Centennial Honors List as one of the top-100 most accomplished and influential Filipino artists of the past century. "Rich with characters who are complex, deftly drawn and compelling. The U.S. reader is in for a treat." 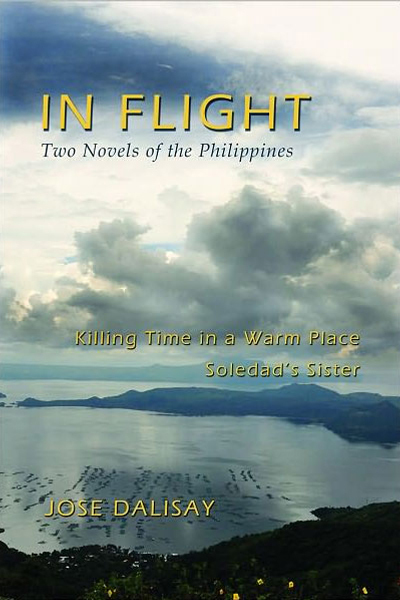 "Jose Dalisay is the unparalleled literary stylist from a lyrical country, the Philippines. Urbane, meticulous, compassionate, honest, Dalisay's work focuses on characters swept up in the tides of history -- a dictatorship, a scuppered revolution, needful "
"'Tell us the truth!' we demand of a book, and this one does with calculated vivacity, spiked with galling humor, wit, and felicity of language that gives the Filipino novel a new stature." "Consummate craftsmanship characterized by clear and firm language, an absorbing narrative, and loving insights into the Filipino psyche. A sympathetic, contemporary record of our turbulent days."